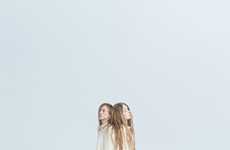 French photographer Olivier Ramonteu’s 'Alter Ego' series features images of ghostly-looking twins. 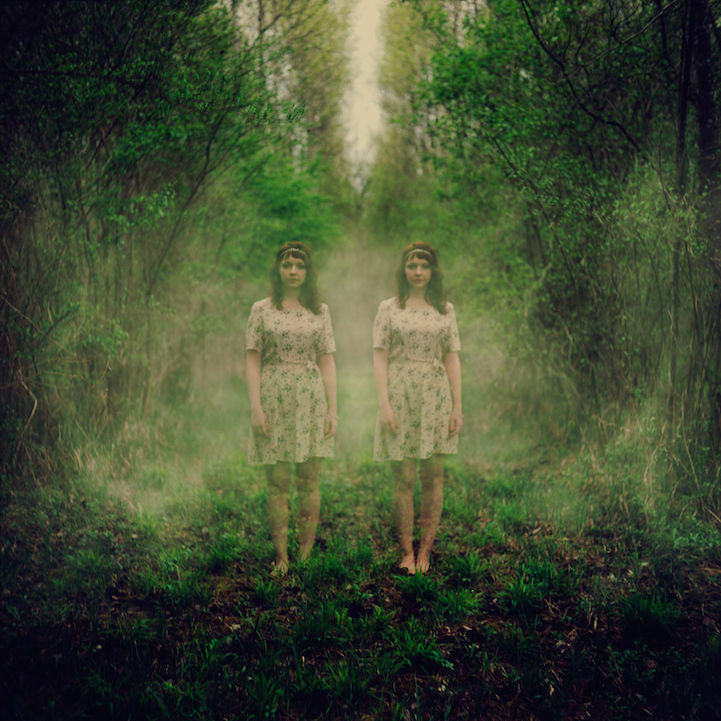 Half of the photographs are of actual identical twins, while the other half are digital manipulations of a single person. The series intends to strike doubt in the heart of its viewer. Which is real and which is imagined? The guessing-game element of the series makes it all the more intriguing. To achieve the eerie, haunted effect, Ramonteu used layering techniques to combine several images into one, multiple exposures and, of course, duplication. The final images are dim, clouded and practically devoid of color, resulting in the frightening supernatural effect. The twins seem to melt into the landscape behind them, until you aren't sure where the girls end and the tree tops begin.